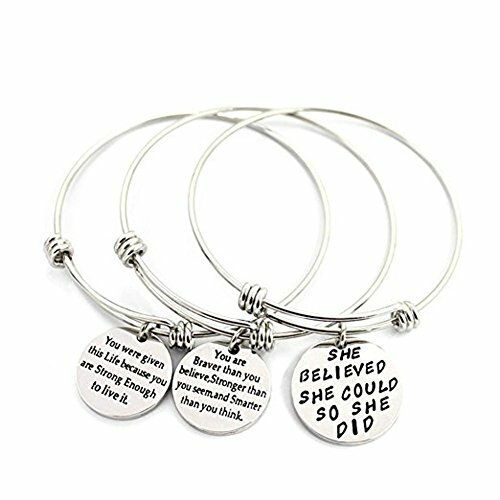 3 pieces of adjustable inspirational bracelet. Come with jewelry bag, ready for giving! Material: Alloy. Meet rigid safety and non-toxic materials standard, Light Weight and Comfortable. Brand ¡°SMARTWALLSTATION¡± has been registered and protected. If you have any questions about this product by SMARTWALLSTATION, contact us by completing and submitting the form below. If you are looking for a specif part number, please include it with your message.